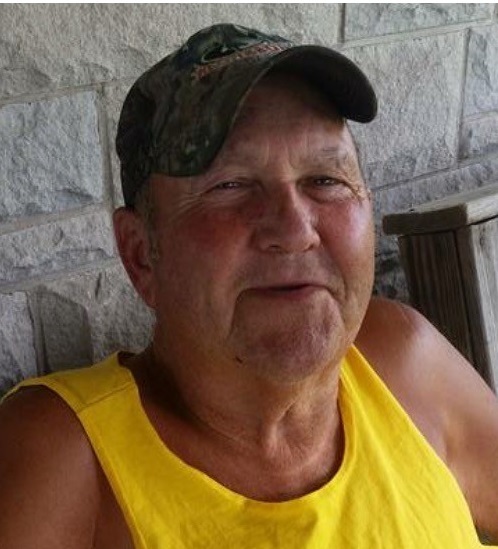 James Earl Caudill, 79, of Dupont, passed away at 12:05 a.m. on Saturday, January 26, 2019 at Greenwood Healthcare in Greenwood. Born January 9, 1940 in Roxanna, Kentucky, he was the son of Corbett and Betty Jane (Ison) Caudill. He married Carolyn (Crouch) Caudill on December 16, 1961 in Beech Grove; she survives. Mr. Caudill graduated from Vernon High School in 1959 and went on to work as a lifelong farmer. He was a member of the Kentucky Colonel and enjoyed hunting, fishing, and gardening. Surviving with his wife is his son, Earl Warren (Sherry) Caudill of Dupont; daughters, Kim (Cheryl) Caudill of Clayton, Michele (Hank) Byram of Dupont, and Stacy (John) Graham of North Vernon; brother, Warnell (Gladys) Caudill of Dupont; and grandchildren, Haylea (Chris) Thomas, Cole Byram, and Corbett Caudill, all of Dupont, Megan Pedigo of North Vernon, and Tyler Caudill of Dupont. He was preceded in death by his parents; brothers, Willie and Amon Caudill; and sisters, Maelean Lee, Devenee Whitaker, and Maudell Griffith. A funeral service for Mr. Caudill will be held at 10:00 a.m. on Tuesday, January 29, 2019 at Dove-Sharp & Rudicel Funeral Home and Cremation service in North Vernon with Brother Bill Halcomb officiating. Family and friends may call at the funeral home from 4:00 p.m. until 8:00 p.m. on Monday, January 28, 2019. Burial will be in the Dupont Cemetery. Memorials may be made through the funeral home to cover expenses.